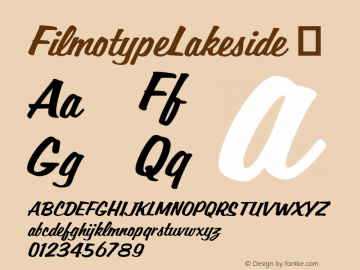 FilmotypeLakeside font family series mainly provide ☞ and other font styles. 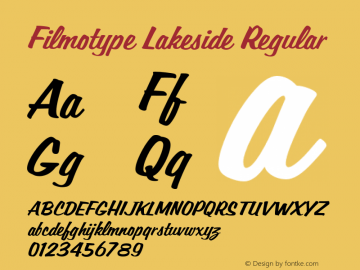 Filmotype Lakeside font family series mainly provide Regular and other font styles. 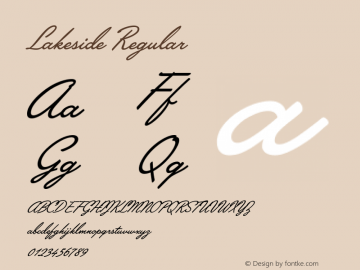 LAKESIDE font family series mainly provide Normal and other font styles. 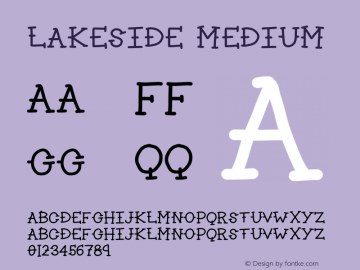 LAKESIDE font family series mainly provide Medium and other font styles. 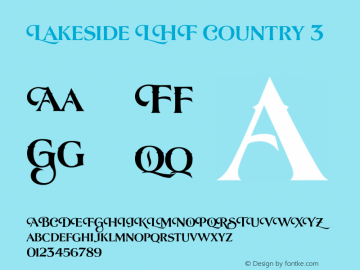 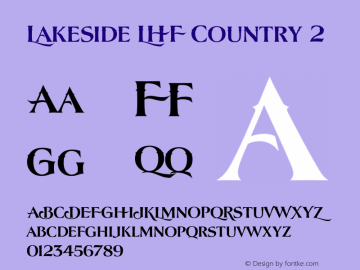 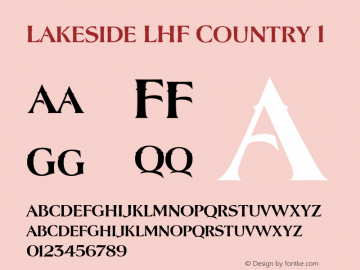 Lakeside font family series mainly provide Regular,☞ and other font styles. 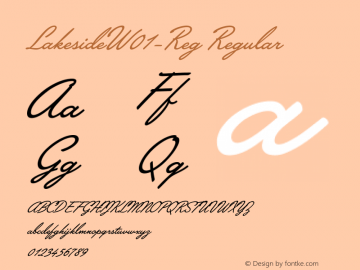 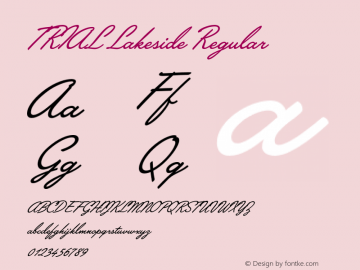 Lakeside-Reg font family series mainly provide Regular and other font styles.